A Gulf War veteran with PTSD (Kilmer) heads to a small town to find his friend. When he arrives his friend and his family have vanished and the townsfolk afraid to answer questions about their disappearance. 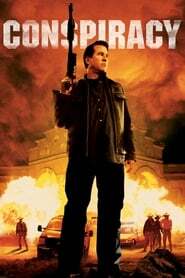 He soon discovers that the town is owned and controlled by one man (Gary Cole) and he doesn't like people asking questions. Riddle Me This: Why Is Batman Forever?